Fly fishing in Switzerland is a great adventure, but not easy. Even the best flies will not catch you fish, if you do not know where and how to fish in a new river or lake you never fished before. 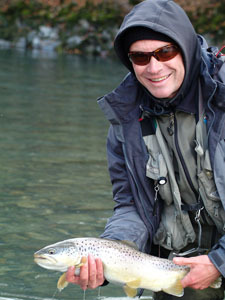 Swissflies recommends you therefore to book a fly fishing guide when you come the first time fishing in Switzerland. 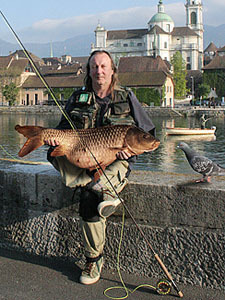 This saves you time and helps you to enjoy your flyfishing holidays in Switzerland. 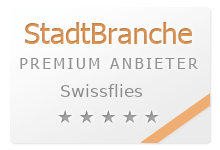 They can organise your flyfishing trips in Switzerland. Swissflies gives you below informations about some Swiss fly fishing guides- contact them to make your swiss flyfishing holidays a dream! Discover the nicest places to fish in Toggenburg (Canton St. Gall), Weisstannen, Canton Schwyz and Grisons. To explore the alpine streams and rivers, first choice is fly fishing. We offer also other methods according to our guests’ wishes. Mike speaks English and German. 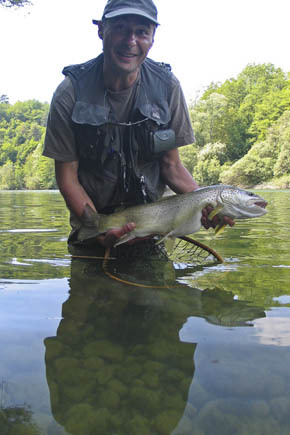 Lukas lives in Zurich not far away from beautiful trout and grayling waters. The fish biologist works part time as a fly fishing journalist, photographer and guide. 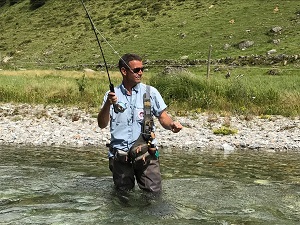 He loves sight fishing in the unspoilt and clear streams of the Swiss alps. In cooperation with the B&B Villa Marguerita (www.villamarguerita.ch) he organizes fly fishing courses and guiding in the beautiful mountain valley Engadin regularly. The world-renowned region in the Swiss alps is famous for its beautiful creeks, rivers and mountain lakes with trout, grayling and char. In addition, Lukas has access to some exclusive fishing beats. 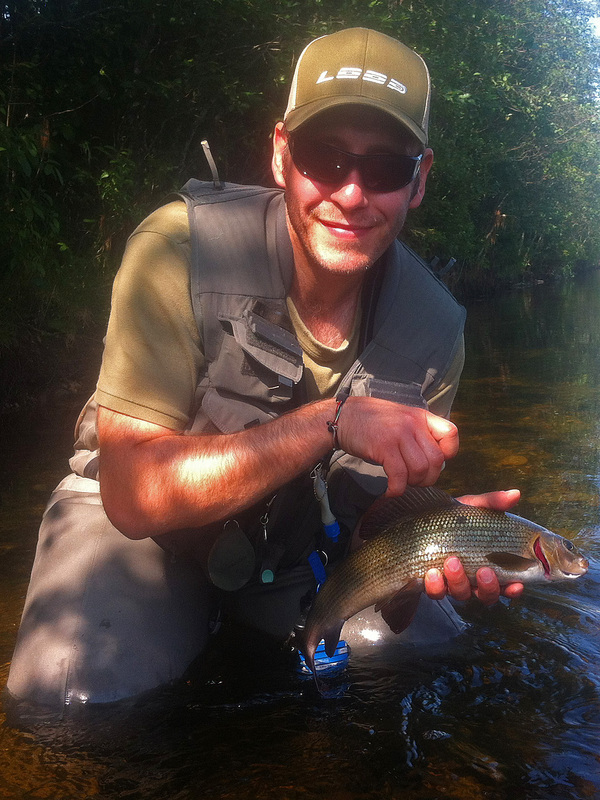 Jean-Paul Kauthen is an EFFA certified Flyfishing Guide. 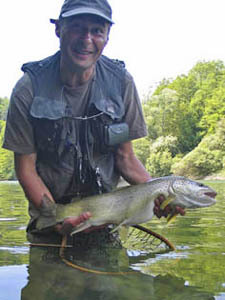 He fishes for more than 20 years with the fly in Switzerland and worldwide and will organize a guided day or weekend of a lifetime in the Bernese Alps according to your needs. Group of fly fisher guides, with decades of experience in flyfishing and guiding. These guides for flyfishing do not only know where to fish- but also how to approach and cast for them. Pierre-Emmanuel talks fluent french, english und spanish. Specialist for flyfishing in very small and very big waters. Flyfishing for carp, hunting big trout and creekfishing. 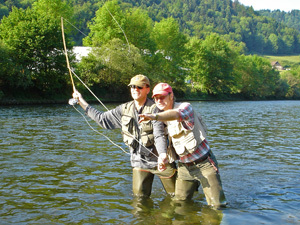 Guided fly fishing tours (for individuals as well as for groups of up to max. 4 persons) on large and small rivers in the regions of Berne-Mittelland and the Bernese Jura. 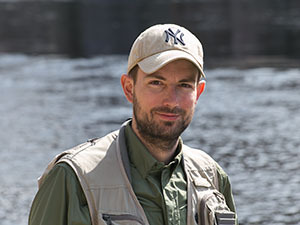 His years of experience and skill as a fly fisherman guarantee to make fishing expeditions an instructive and unique experience. Marco speaks fluently english, french and german. 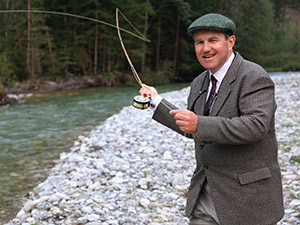 Fly fishing guide in the Bernese Oberland area. Mountain stream fishing for trout. Pike on a fly on the lakes. Pascal has been guiding international guests on the beautiful waters of the Bernese Oberland since 15 years. Waters: Aare, Emme, Engstligen, Lütschine, Sense, lakes of Brienz and Thun. He speaks fluently english, french and german. Are you looking for a fly fishing guide during your visit in Switzerland? Contact us to find your Switzerland Fishing Guide!